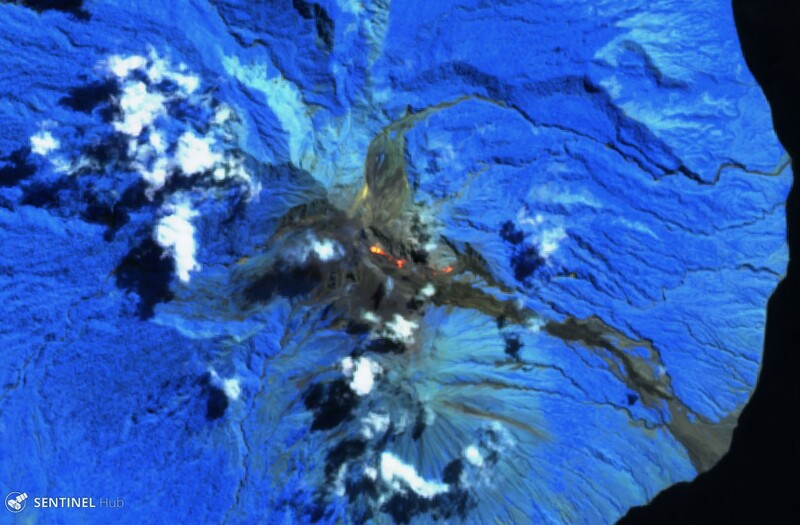 "The eruption continued through May without significant changes from last month. The main lava channel has been transformed into a lava tube, between 2,510 and 2,320 m elevation, that has at least four windows through which it was possible to see the lava flow. The lava has maintained a constant velocity during the last few weeks. 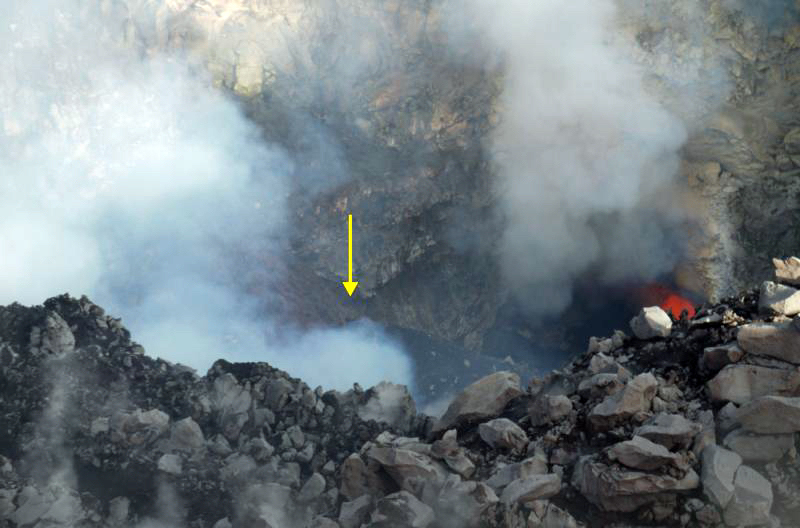 On 23 May another lava overflow occurred as a result of roof collapse along the upper portions of the lava tube (2,485 m elevation), generating small lava flows of brief duration. "The numerous short-lived vents inside the lava field (from 2,320 to 2,150 m elevation) were variable, as usual, in number and position. The lava flows that originated from these short-lived vents have increased the size of the lava field on both the W and E sides to a maximum width of ~1.5 km. 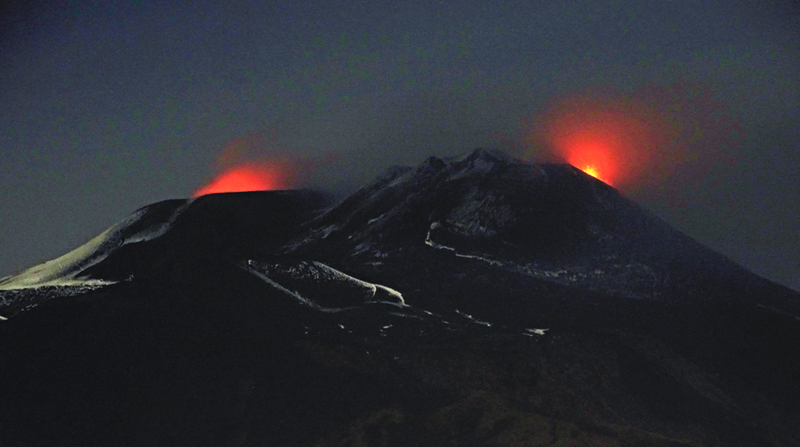 "Beginning 10 May the lava moved mainly toward the SW (Monte Rinatura and Monte Nero). Around the beginning of June there were numerous lava flows toward the SE (1910 craters area). 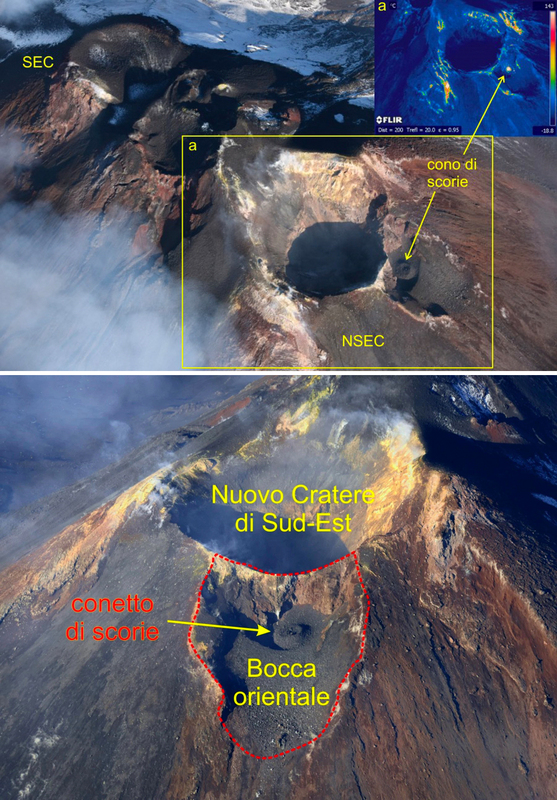 Lava continued to flow toward the south (Monte Castellazzi area), but these flows were not strongly fed. None of the lava flows descended below 2,000 m elevation. 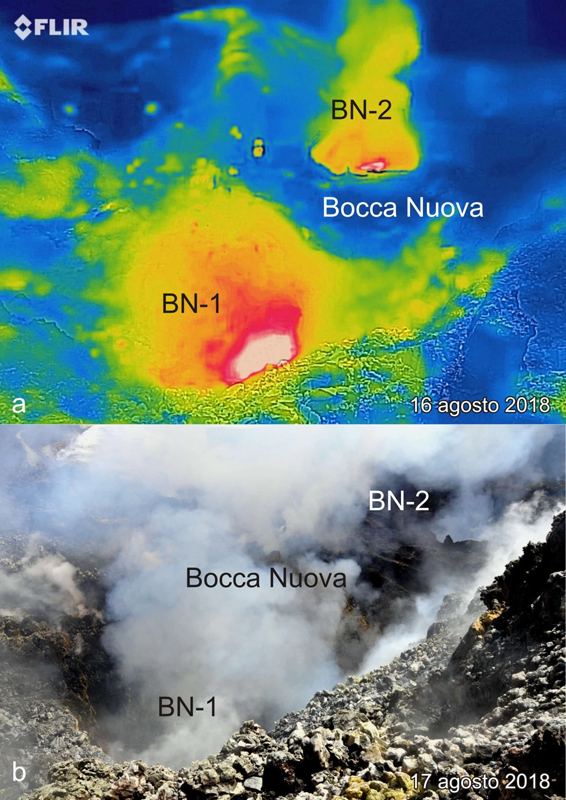 "The more or less intense emission of gas and vapor from both vents of the central crater and from the Northeast Crater continue. Emissions of ash are rare and inconsistent. 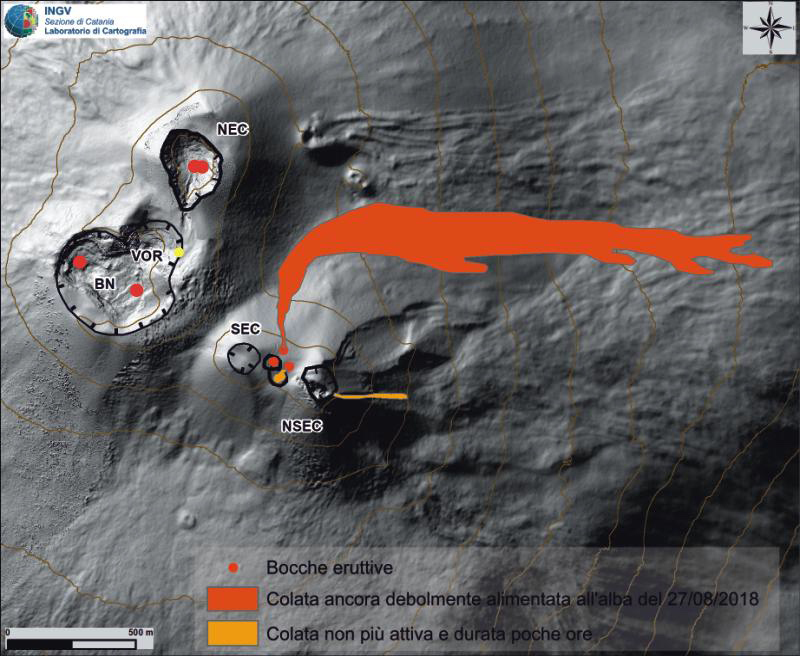 Gas under pressure emerged from a small opening at the southern base of the 1984 cone inside the Southeast Crater (P. Briole, personal communication). R. Clocchiatti conducted temperature measurements with a thermocouple; the temperature ranged between 1053°C and 1,088°C (CEN-SACLAY). "M. Cosentino and G. Lombardo reported that no particular seismic activity was recorded. 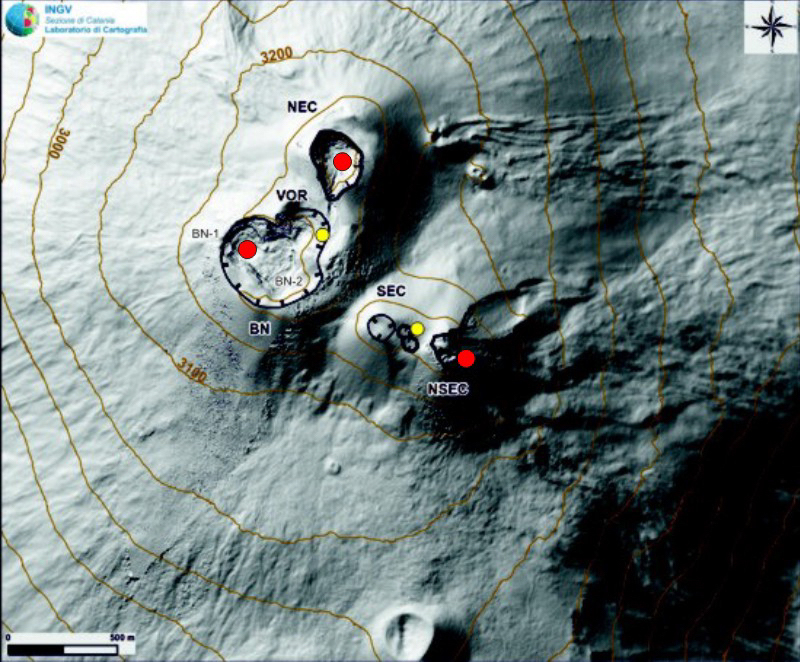 Instead, an increase in the average amplitude of harmonic tremor was noticed, probably connected to the degassing of the central and Northeast craters. 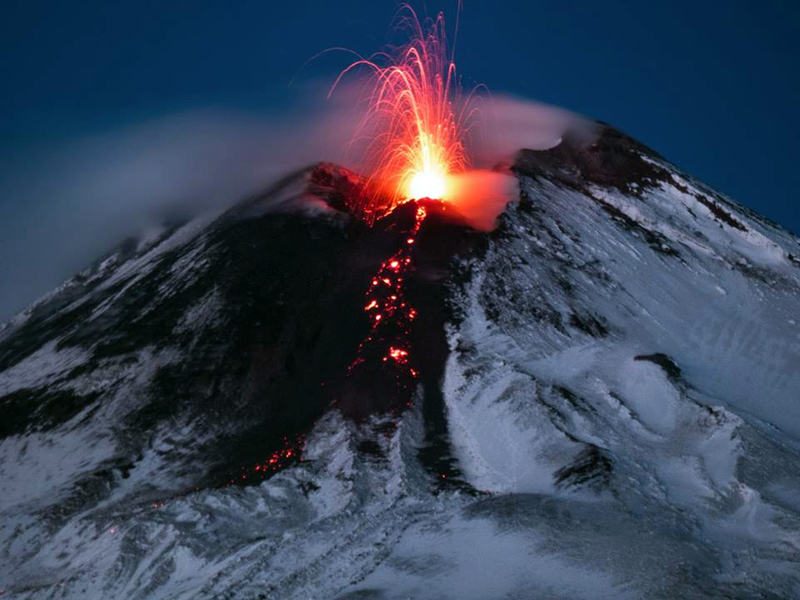 "The Etna guides and rescue volunteers from the Italian Alpine Club (A. Cristaudo and A. Nicotra) helped with information on the activity." Information Contacts: R. Romano, IIV. 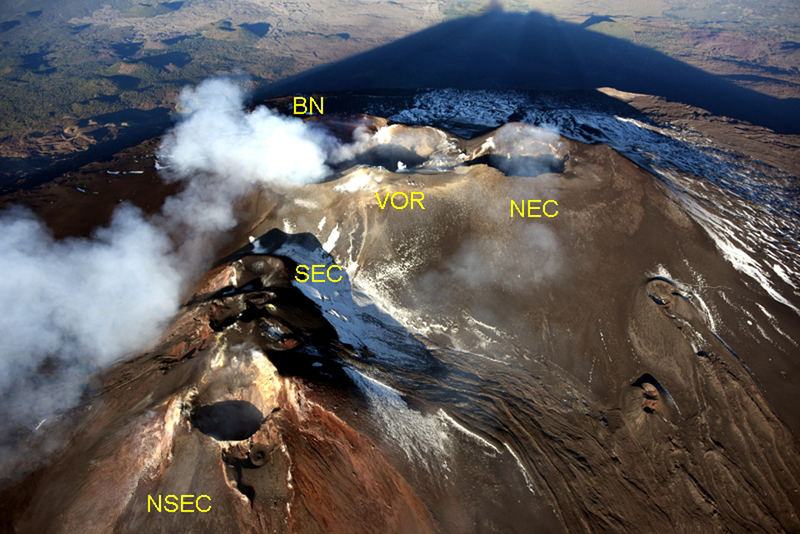 "Since the last eruption, seismicity and deformation measured at the four summit stations had remained at very low levels (0-5 earthquakes and 1-7 µrad of tilt per month). The pattern of tilt vectors implied a progressive deflation of the area that had undergone large deformation during the last eruption. "Beginning on 15 May, several small earthquakes (M <1) were recorded at depths of 1.5-2.5 km beneath the summit. Simultaneously, the summit dry tilt stations began to show an inflationary pattern. The number of seismic events progressively increased. 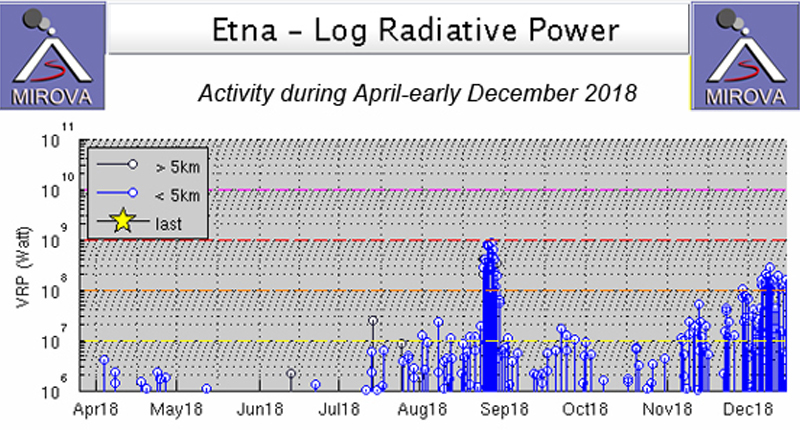 Seismic activity peaked on 8 June with 13 events, and decreased to a low level on the 13th. No significant migration of the earthquakes was observed. 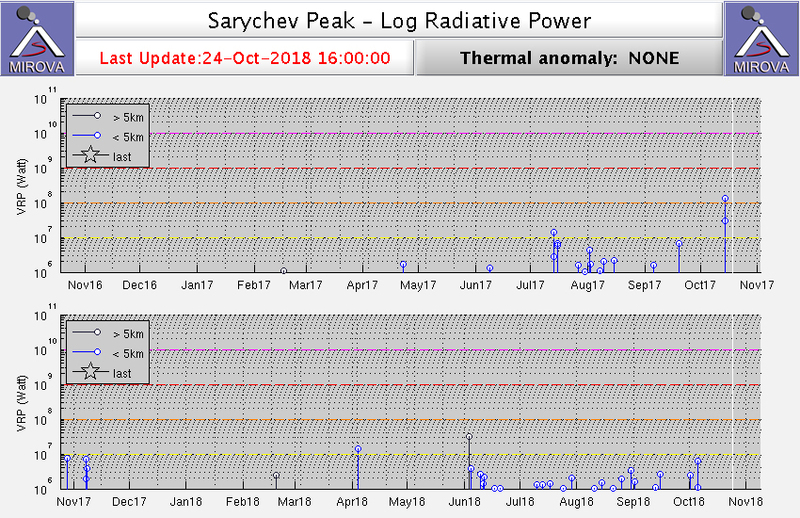 Inflation appeared to have been almost continuous except during two episodes when deformation slowed (3 June) or reversed (8 June) corresponding to the periods of largest seismic energy release. "This activity differed from the 1983 pre-eruptive crisis. The late 1983-early 1984 eruption was preceded by two weeks of seismic activity (48 events) with no associated deformation. The most recent activity lasted for at least four weeks. The earthquakes are located in the same area as before, but summit tilt stations show inflation of 15-40 µrads." Information Contacts: J. Lenat, OVPDLF; M. Kasser, Inst. Geographique National (IGN), Paris; A. Nercessian, IPG, Paris; R. Vie le Sage, Délégation aux Risques Majeurs (DRM), Paris; P. Bachelery, Univ. de la Réunion; A. Bonneville, Univ. du Languedoc; G. Boudon, Obs. Volc. de la Mt. Pelée; M. Halbwaks, Univ. de Chambéry. "For the first time since October 1984, Kilauea did not erupt during a calendar month. 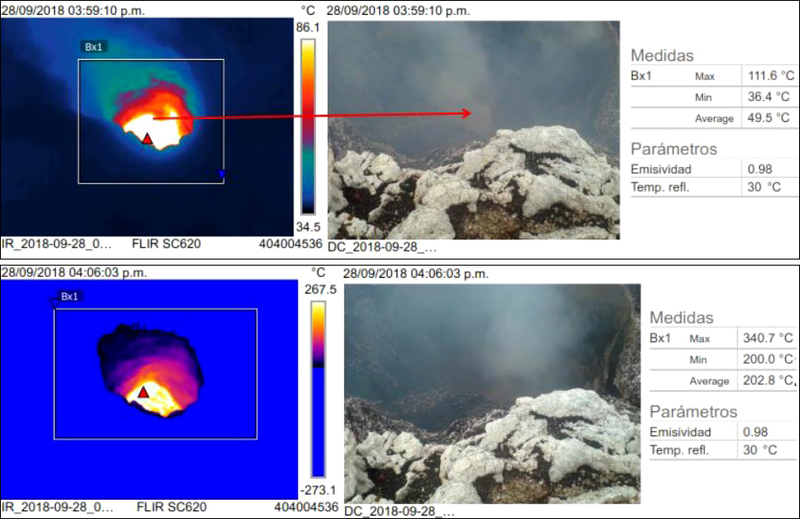 Mapping of episode 32 (21-22 April) eruptive products was completed in May and showed that 16.1 x 106 m3 of lava and 0.25 x 106 m3 of tephra (dense rock equivalent) were produced. Lava from the 1983-85 eruption covered 40 km2 of the middle E rift zone. 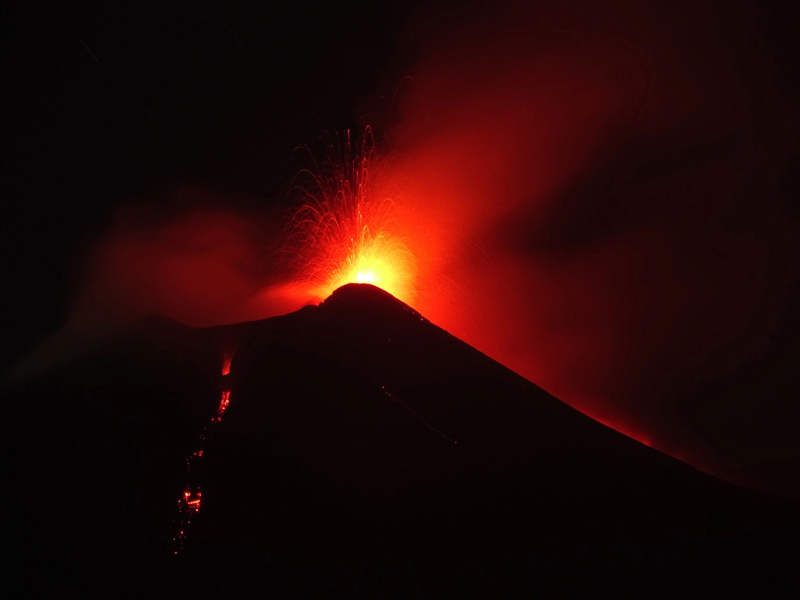 "Following episode 32, magma was first visible in the conduit on 9 May, at approximately 50 m depth. By the end of May, the magma column had risen to within 30 m of the Pu`u `O`o crater floor and remained mostly crusted over. Deformation. 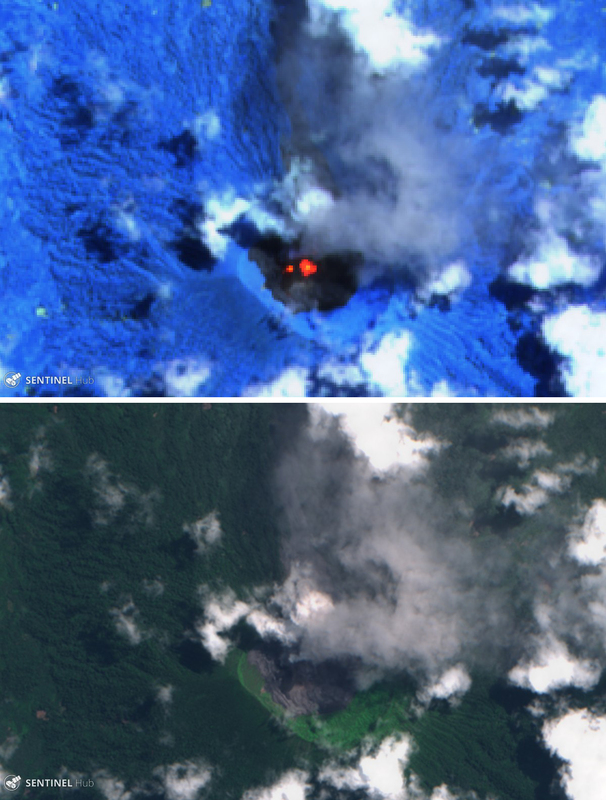 "The summit of Kilauea continued to inflate during May. However, a period of significant summit subsidence occurred from 22 May at 1800 to 27 May at 0900. During this interval, the Uwekahuna tiltmeter recorded 2.8 µrad of summit deflation. The net inflation during May was 5.7 µrad. Seismicity. "Harmonic tremor continued at a fluctuating low level in the middle E rift zone near Pu`u `O`o following episode 32. The number of shallow microearthquakes in the E rift zone and summit region varied from several tens to a few hundreds per day. Short-period summit earthquakes increased gradually in response to the slow rate of inflation. Frequent bursts of long-period events and harmonic tremor were recorded from intermediate to deep sources beneath Kilauea." 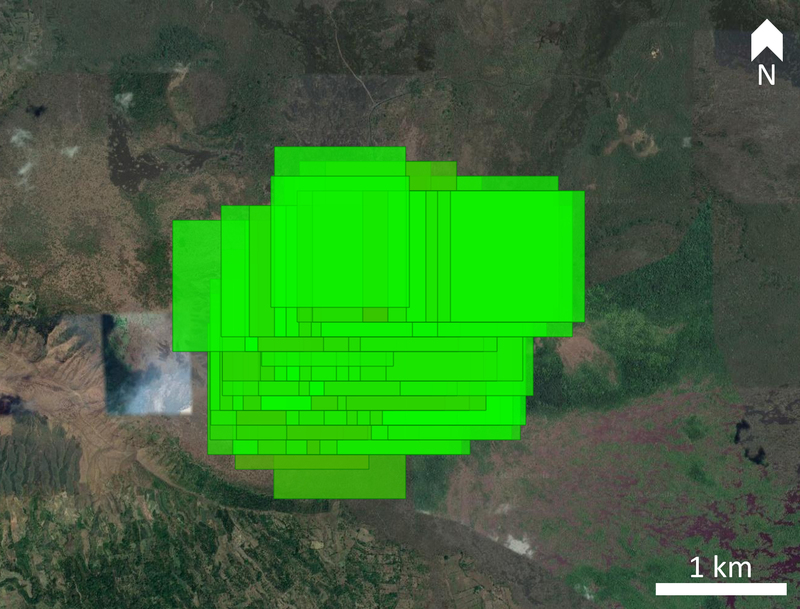 Addendum: Episode 33 of the middle E rift zone eruption occurred on 1213 June. Discontinuous low level fountaining and spillover from the Pu`u `O`o vent began at 0430 on the 12th. By 2306, fountaining had become vigorous and continuous. Lava flowed about 3.5 km to the SE over older lavas from Pu`u `O`o before the episode ended at  on the 13th. Information Contacts: C. Heliker, G. Ulrich, R. Hanatani, R. Koyanagi, and R. Okamura, HVO. In December 1983, 4,993 microearthquakes were recorded at Masaya. Early that month, a very large gas column was continuing to emerge from Santiago Crater. A series of small ash eruptions occurred in April 1984. There was a small gas explosion on 23 January 1985, and another ash eruption occurred in April 1985. 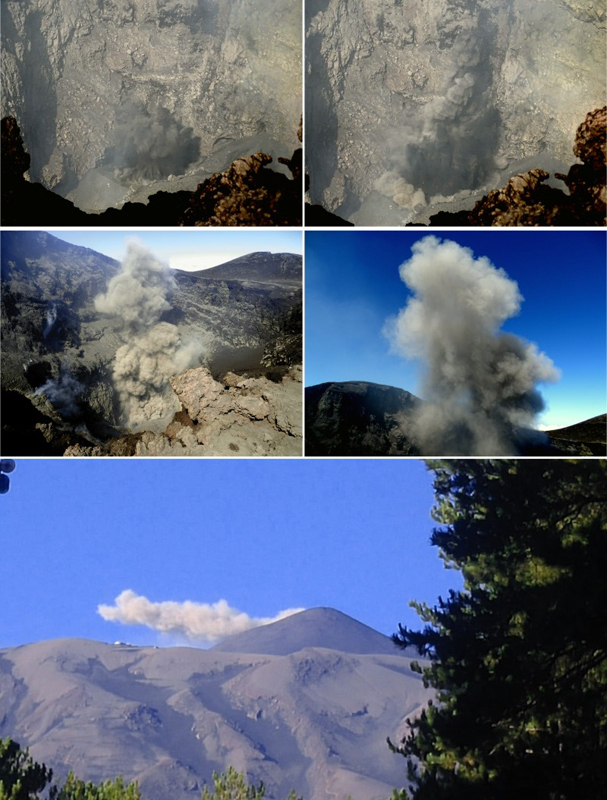 After 3 years of quiescience, small hydrothermal eruptions began on or shortly before 21 May. On 16 May, major overflow of Crater Lake into the Whangaehu River began, as shown by pH and conductivity measurements downstream (at Tangiwai). Seismic activity, characterized by increased high-frequency tremor and local earthquakes, began [in early May, with some minor tremor on the 5th and small volcanic earthquakes on the 11th]. 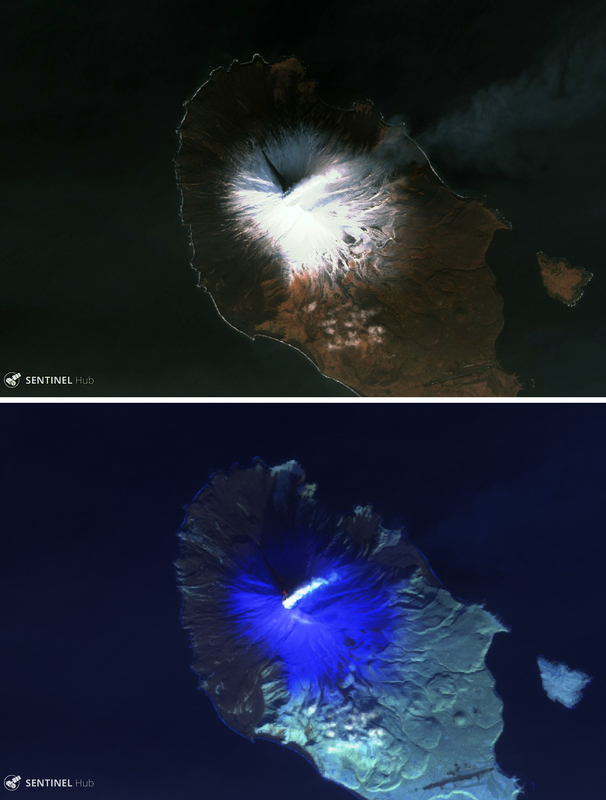 Eruptions were first observed in Crater Lake on 21 May and were also seen on 25 May. 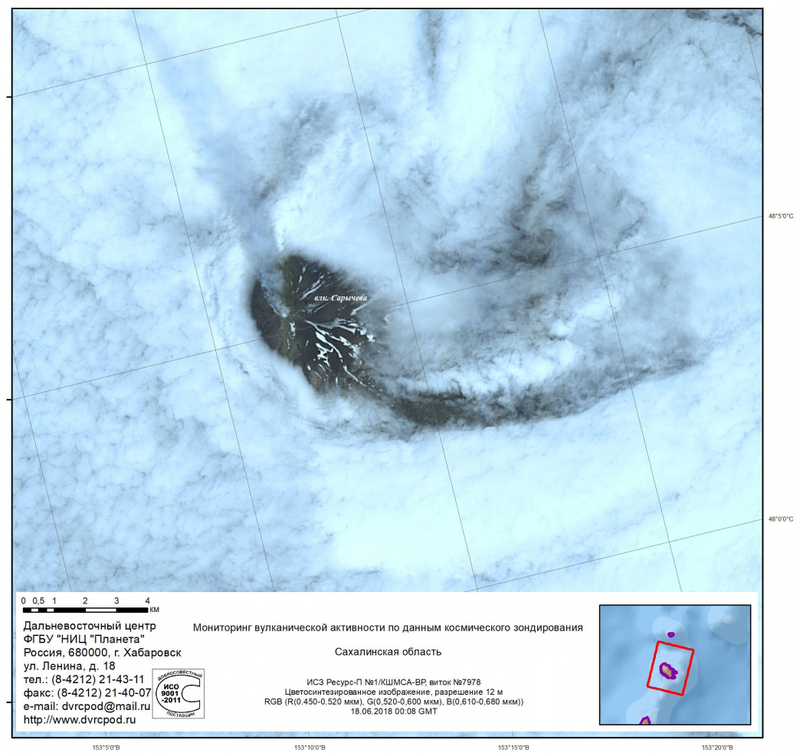 On 28 May NZGS personnel noted 15 small hydrothermal eruptions during a 10-hour period. 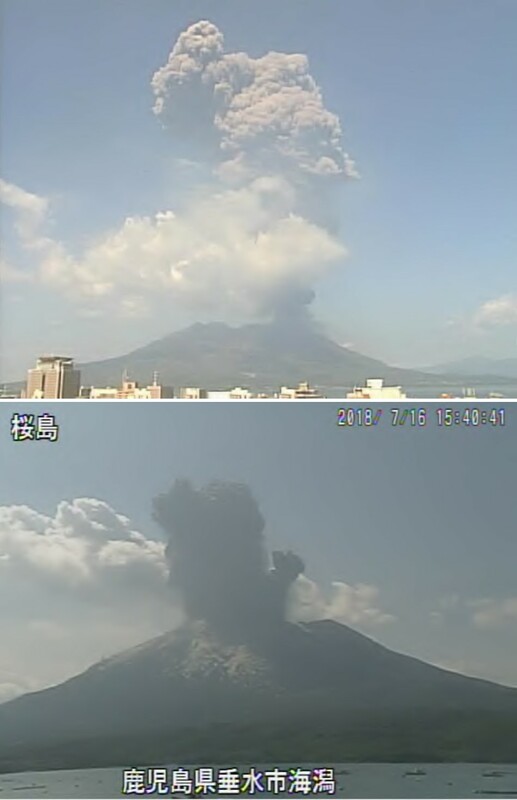 All the eruptions occurred in the lake center, where resumption of weak upwelling had first been observed on 26 April. 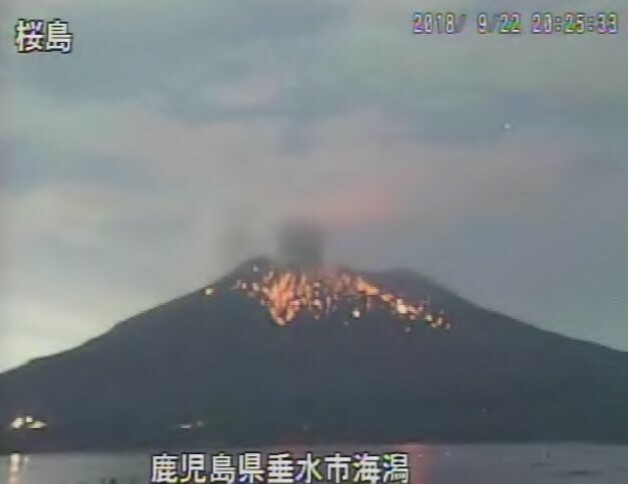 The eruptions were characterized by updoming of the central lake surface, noisy ejection of water and mud jetting to 10 m above the lake surface, and waves radiating from the lake center. Clouds limited deformation measurements across the crater but a pair of horizontal angle observations indicated no major change in crater diameter. The lake was battleship-gray in color, with clean snow around the water margin about 1 m above lake level. The lake temperature had increased to 45°C from the 20-25°C range of recent months. Interim analyses of the lake water show a progressive dilution throughout the summer months. Chlorine and magnesium contents have increased since activity began, but the Mg/Cl ratio has not changed significantly. Information Contacts: I. Nairn and B. Scott, NZGS, Rotorua; P. Otway, NZGS, Wairakei. "Since late November 1984, local earthquakes have been felt near the summit. On 22 December, stronger earthquakes were detected, followed by a half hour of apparent harmonic tremor. During a visit to the crater in early January 1985, increased fumarolic activity, evidence of phreatic explosions, and the wide deposition of sulfur salts over the adjacent snowcap were noted. At times, a thin layer of ash had been ejected, which was analyzed by J. Tomblin and found to consist of alteration products and sulfur. "Seismic activity continued, with 17 felt earthquakes in March and 18 in April. There are no operating seismographs in the region. Abnormal fumarolic activity also continued. The one hot spring with frequent temperature monitoring, NW of the crater, had not shown any variation in temperature. "Ruiz is a glacier-clad stratovolcano (bordering Tolima and Caldas Departments). . . . Colombian officials have begun the necessary studies." Geologic Background. Nevado del Ruiz is a broad, glacier-covered volcano in central Colombia that covers more than 200 km2. Three major edifices, composed of andesitic and dacitic lavas and andesitic pyroclastics, have been constructed since the beginning of the Pleistocene. The modern cone consists of a broad cluster of lava domes built within the caldera of an older edifice. The 1-km-wide, 240-m-deep Arenas crater occupies the summit. The prominent La Olleta pyroclastic cone located on the SW flank may also have been active in historical time. Steep headwalls of massive landslides cut the flanks. Melting of its summit icecap during historical eruptions, which date back to the 16th century, has resulted in devastating lahars, including one in 1985 that was South America's deadliest eruption. Information Contacts: M. Hall, Escuela Politécnica, Ecuador; J. Tomblin, UNDRO; O. Gómez, Civil Defense Coordinator, Manizales. 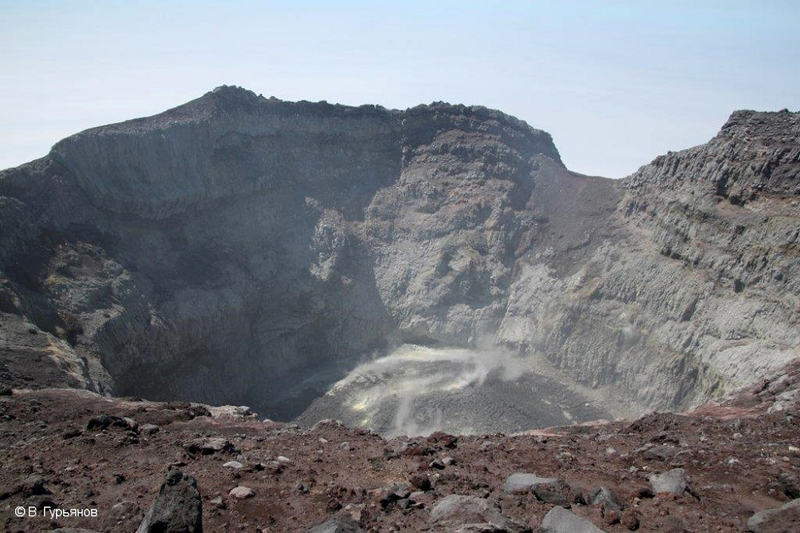 An ash eruption from Soputan's main crater occurred 19-20 May from 1815 to 0130. 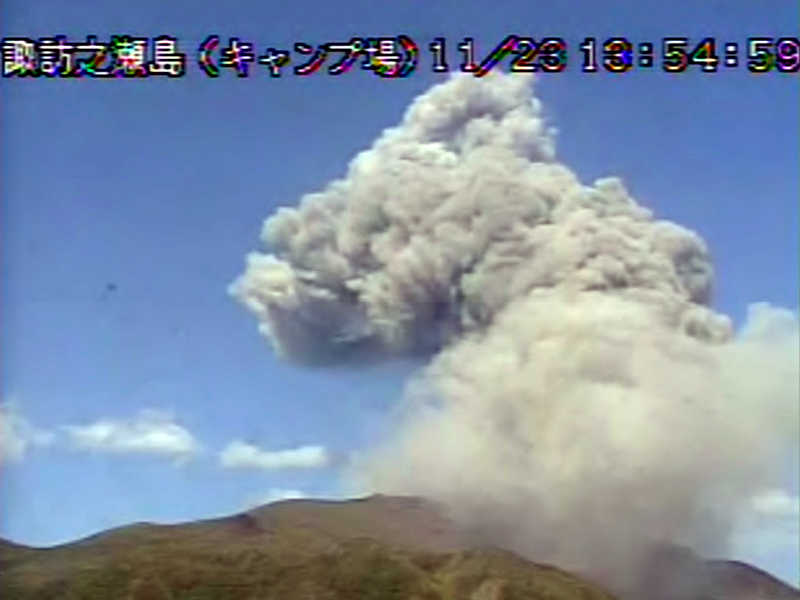 The eruption column rose to 4 km altitude, and ~2 cm of ash (fine to coarse) accumulated at villages (Kawangkoan, Langoan, Noongan, and Ratahan) 9-12 km from the crater. There were no casualties and no evacuations were necessary. 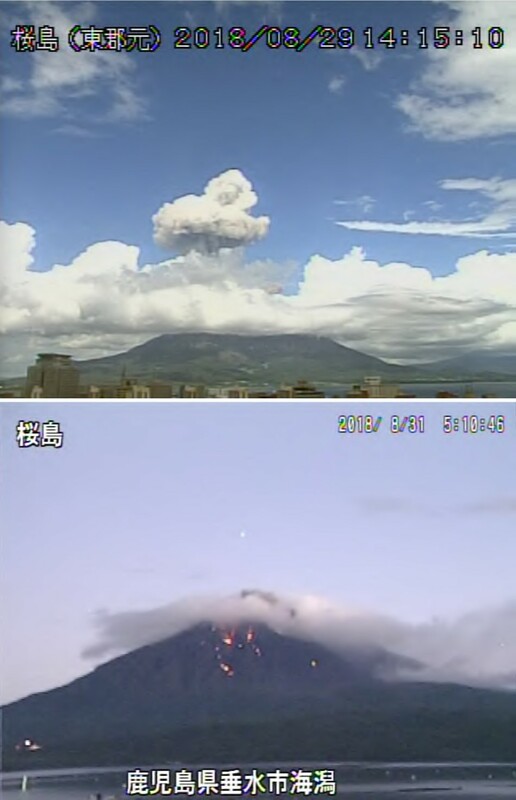 The volcano has remained quiet since 22 May. 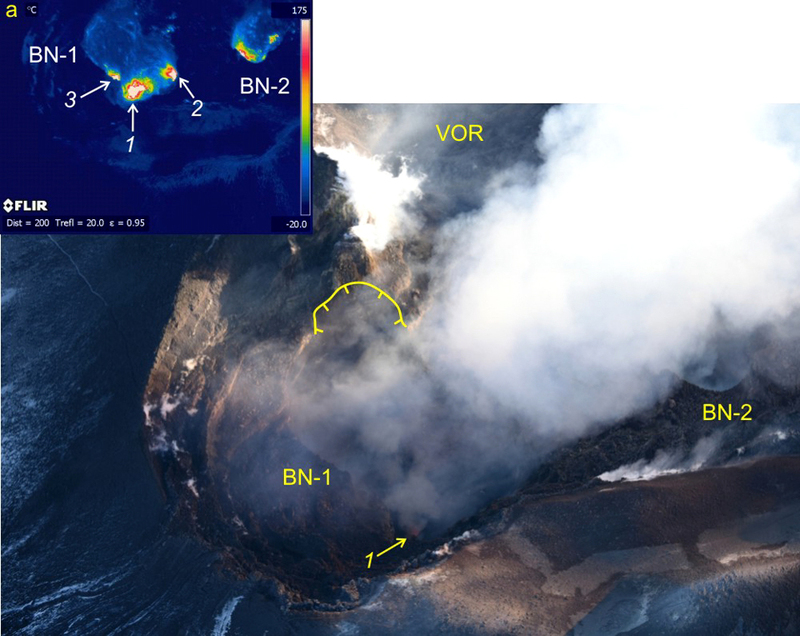 On 20 May at 0058, a jumbo jet en route from Hong Kong to Sydney, Australia, with 267 passengers and 16 crew members encountered the ash cloud ~80 km SSE of the volcano (approximately 0.5°N, 124.54°E). An orange glow discharged from the nose of the aircraft and orange sparks passed over the windshield. Engine inlets were illuminated by a white light. A light haze that smelled like burnt dust filled the cabin, and ash accumulated on flat surfaces. These effects continued for 7-8 minutes, while the aircraft remained on course at 0.85x the speed of sound, for a distance of roughly 120-135 km. The aircraft continued to Sydney, arriving 4 hours after exiting the ash cloud, and landed uneventfully. Because of damage caused by the ash cloud, it was necessary to replace all four of the aircraft's engines, other navigational components, and more than a dozen windows. 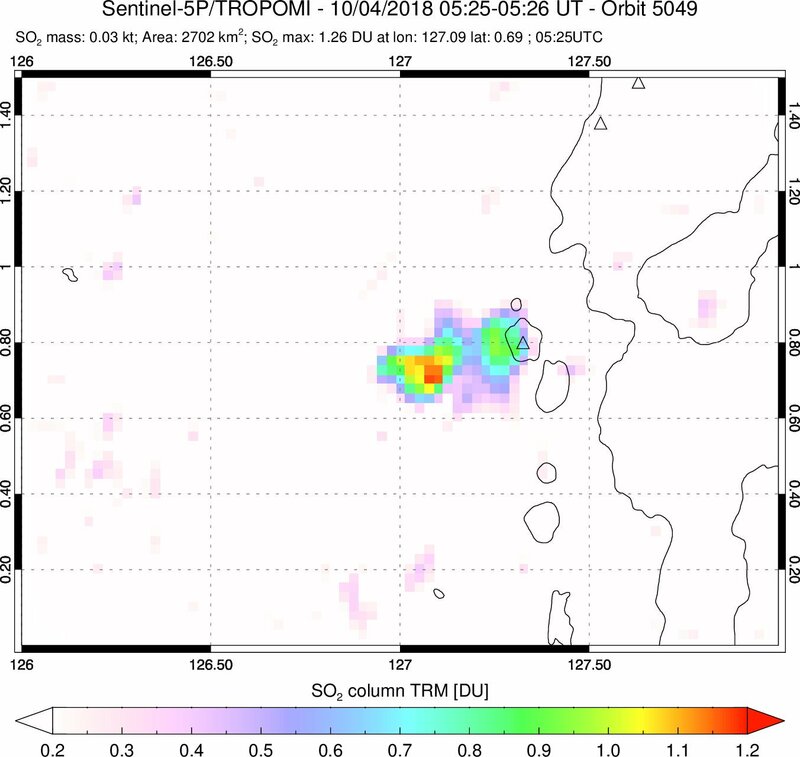 The TOMS instrument on the NIMBUS 7 polar orbiting satellite detected an area of SO2 enhancement SE of Soputan during its pass at local noon on 20 May. The area of enhancement extended from about 124.5°E to 126°E near the equator and from about 125°E to 127°E at 1.5°S with the maximum at about 1°S, 126°E. Information Contacts: VSI; Boeing, Seattle, WA; A. Krueger, NASA/GSFC. During mid-May, seismicity and rates of displacement began to increase from background levels. 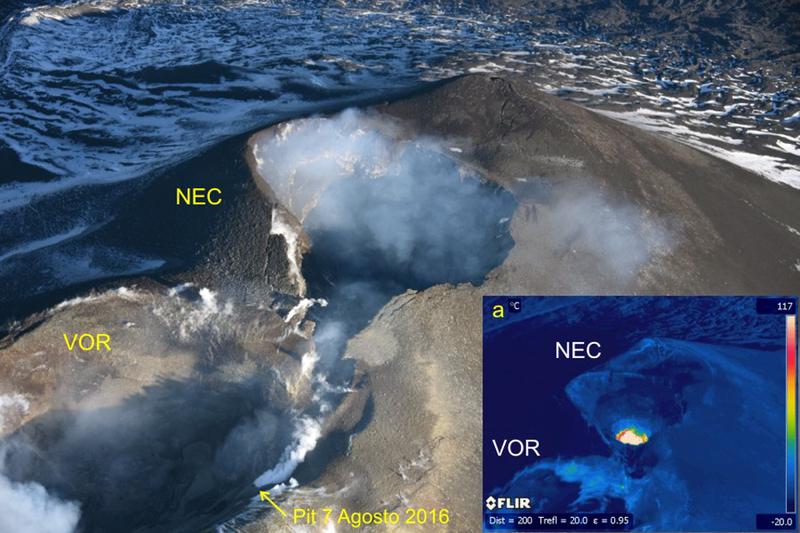 After 8 months of quiescence, a new lobe was extruded onto the composite lava dome, and a major intrusive event further enlarged the dome. On 13 May, the number of medium- to high-frequency events recorded from the crater seismic station began to increase. Measurements on 16 May indicated that displacement rates on the dome had increased slightly while seismicity continued to build gradually. Several vigorous gas emissions, the first since 24 September 1984, occurred on 17 May from a vent in the NE part of the dome's summit area. No tephra was ejected, and the largest plume rose to just above the crater rim. Seismicity and displacement rates continued to increase, and on 20 May the USGS and University of Washington issued a volcano advisory notice stating that recent changes at the volcano suggested "renewed eruptive activity will begin within the next 2 weeks, possibly within the next few days." By the 23rd, seismicity had reached high levels. 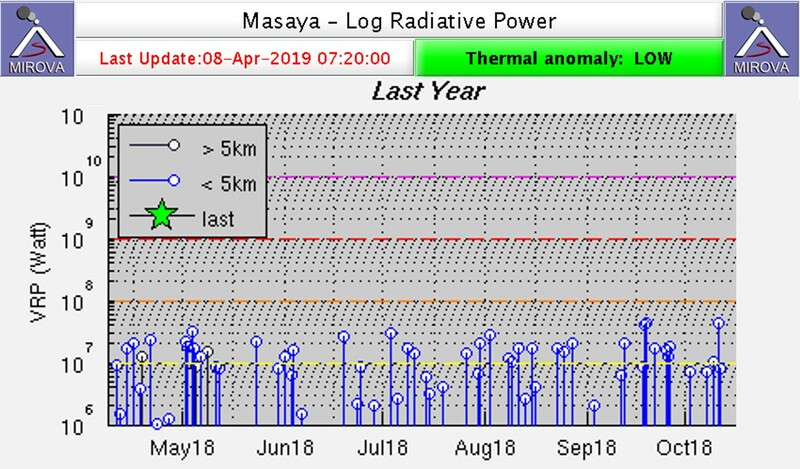 On the 24th, very low-frequency events increased in size and number, although medium- to high-frequency events decreased. Observations made during a night overflight on the 25th at 0030 indicated increased glow from cracks on the dome. Later that morning, the low-frequency earthquakes that typically immediately precede and accompany extrusions had become more numerous, and deformation patterns suggested to USGS scientists that magma had nearly reached the surface of the dome. Observations during the next week were few because of poor weather conditions. 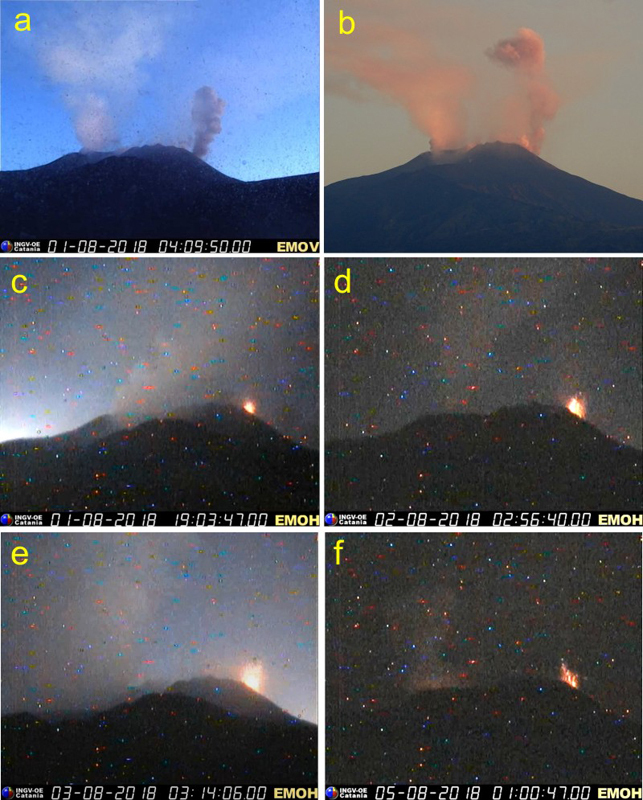 Between 21 and 23 May, a trough-like fracture system began to develop on top of the dome. By 27 May, this graben was 30-50 m wide and had cut across the entire S portion of the dome. 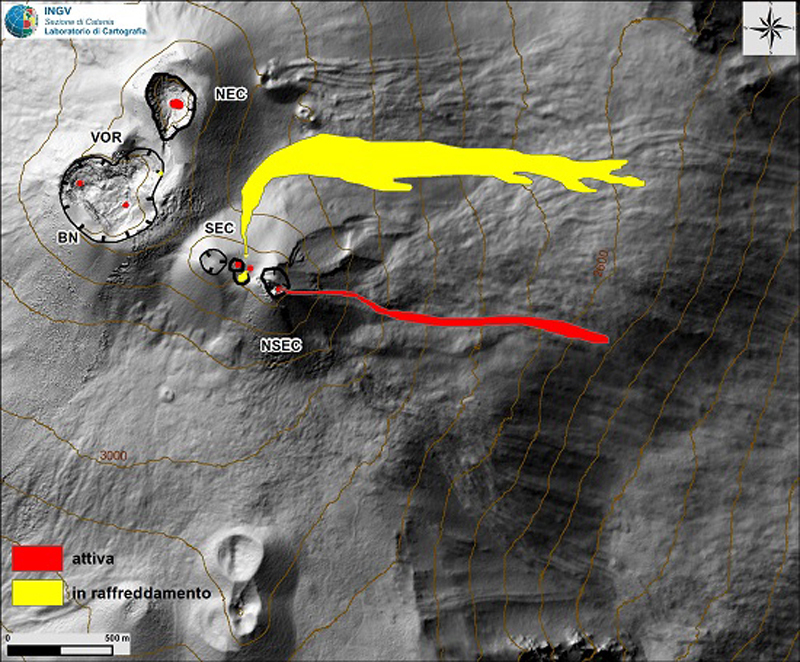 Sometime between the 27th and 30th, a new lobe of gas-poor lava was extruded on the SE flank of the dome, near the E end of the newly formed graben. The 80-m-wide lobe extended out of the graben about 100 m down to the crater floor (figure 28). By the 30th, the graben was 400 m long, 30 m deep, and averaged 90-100 m wide. The dome flank S of the graben had been displaced outward. Figure 28. Sketch of Mt. St. Helens, by Bobbie Myers, looking NW, showing the composite lava dome after formation of the graben and extrusion of the new lobe in May 1985. Seismicity continued at very high levels; on the 29th, M 2.5-2.8 events were recorded every few minutes as deep as 1 km below the dome. During past extrusion episodes, seismicity typically decreased sharply when lava reached the surface, but on the 31st, seismicity remained vigorous. Late on 31 May or early on 1 June, a slow decrease in the number of seismic events began. By 5 June seismicity had decreased to moderate levels and had reached background levels by the 17th. 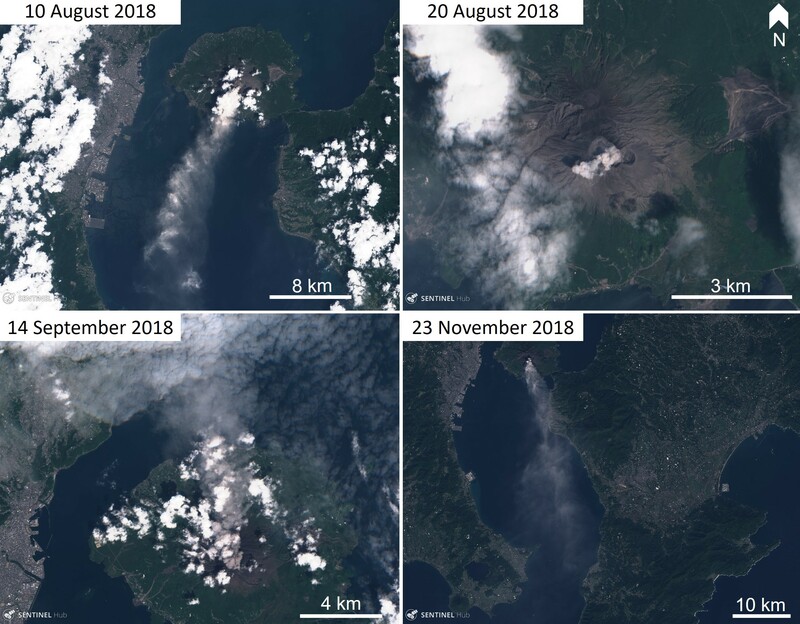 Measurements by USGS scientists on 16 June indicated that the S flank of the dome had moved outward about 70-100 m during the eruption, but that the current displacement rate had by then decreased to about a centimeter per day. 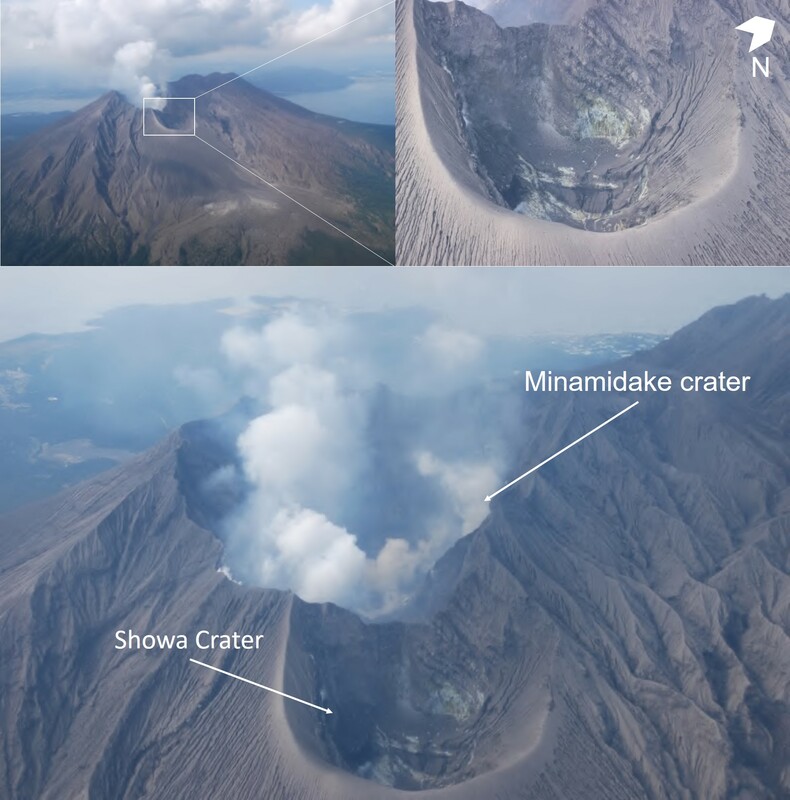 A station on the crater floor S of the dome moved 46 m outward and 18 m upward between 17 May and 8 June, but had moved only a few centimeters more by the 16th. These measurements suggested to USGS scientists that about 6-8 x 106 m3 of magma were intruded into the dome during this eruption, the largest single dome-building event since 12 June 1980. 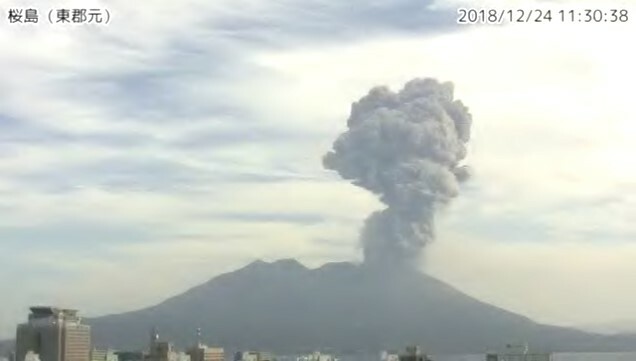 After the vigorous gas emission events of 17 May, vapor emission continued from the same vent during the eruption. However, SO2 emission rates averaged about 40 t/d during May, about the same as the average April rate of 30 ± 5 t/d. On 30 May, the rate increased from background levels to 90 ± 10 t/d, by 2 June to 160 ± 25, and by the 8th to 220 ± 10 t/d. SO2 emission decreased to 165 ± 10 t/d on June 10th and to 60 ± 10 t/d on the 12th. Equipment to measure H2 emission was installed on top of the dome in January. After 3 months of very low measurements, ambient H2 around the top of the dome began to increase dramatically on 24 May, continued to rise over the next few days, and reached a very high value before the station was destroyed early on the 29th. Because the instrument was not yet calibrated, the measurements cannot be quantified. Geologic Background. Prior to 1980, Mount St. Helens formed a conical, youthful volcano sometimes known as the Fuji-san of America. 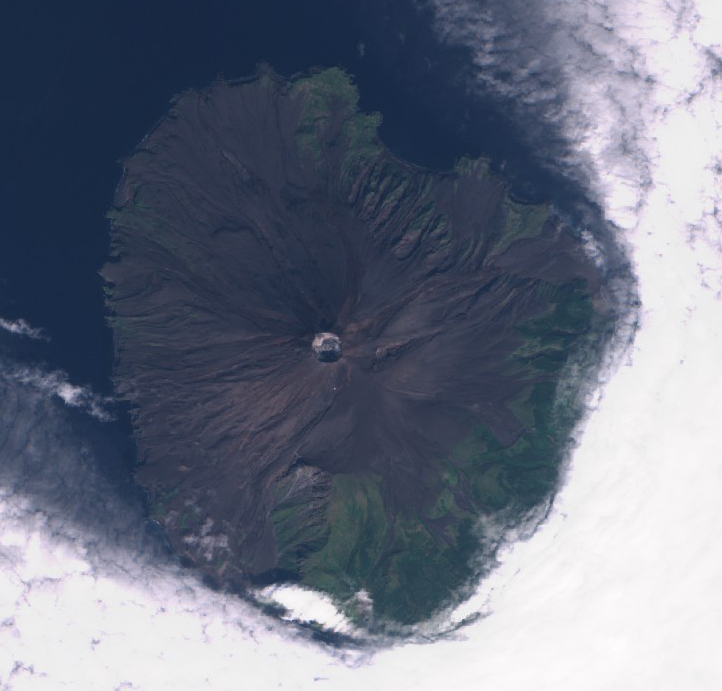 During the 1980 eruption the upper 400 m of the summit was removed by slope failure, leaving a 2 x 3.5 km horseshoe-shaped crater now partially filled by a lava dome. Mount St. Helens was formed during nine eruptive periods beginning about 40-50,000 years ago and has been the most active volcano in the Cascade Range during the Holocene. Prior to 2200 years ago, tephra, lava domes, and pyroclastic flows were erupted, forming the older St. Helens edifice, but few lava flows extended beyond the base of the volcano. The modern edifice was constructed during the last 2200 years, when the volcano produced basaltic as well as andesitic and dacitic products from summit and flank vents. Historical eruptions in the 19th century originated from the Goat Rocks area on the north flank, and were witnessed by early settlers. Information Contacts: D. Swanson, C. Newhall, S. Brantley, K. McGee, J. Sutton, B. Myers, USGS CVO, Vancouver, WA; C. Jonientz-Trisler, University of Washington. Geologic Background. Tecapa is a complex basaltic-to-andesitic stratovolcano at the NW end of a cluster of volcanoes E of the Río Lempa between San Vicente and San Miguel volcanoes. The Berlín caldera, whose rim is visible on the W side of the complex, was formed during the eruption of the Blanca-Rosa dacitic pumice in the late Pleistocene. Following caldera formation, the cones of Cerro Las Palmas, Cerro Pelón, Tecapa-Laguna de Alegria, and Cerro Alegria were constructed along a WSW-ENE line. The crater of Tecapa-Laguna de Alegria contains a deep notch on the eastern rim and is filled by Laguna de Alegria crater lake. The volcanic complex currently displays fumarolic activity, and a producing geothermal plant is located at the Berlín geothermal field.